I just have to tell you that these cookies are SO good. And if they weren’t good enough on their own, they are over the top delicious as an ice cream sandwich with coffee ice cream. These cookies are not particularly sweet, and the texture is a bit like a shortbread cookie which makes them so perfect to use as an ice cream sandwich. 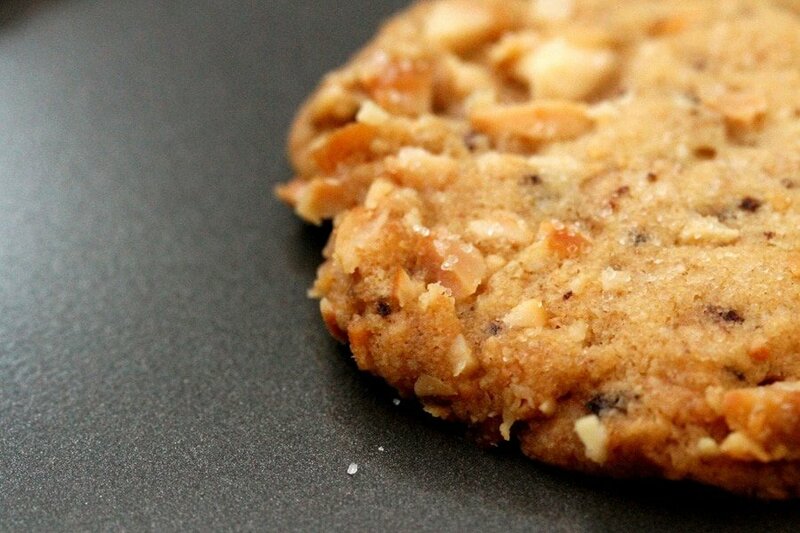 The macadamia nuts are on the outside of this cookie which works so well because they get a bit toasted when the cookie is baked. 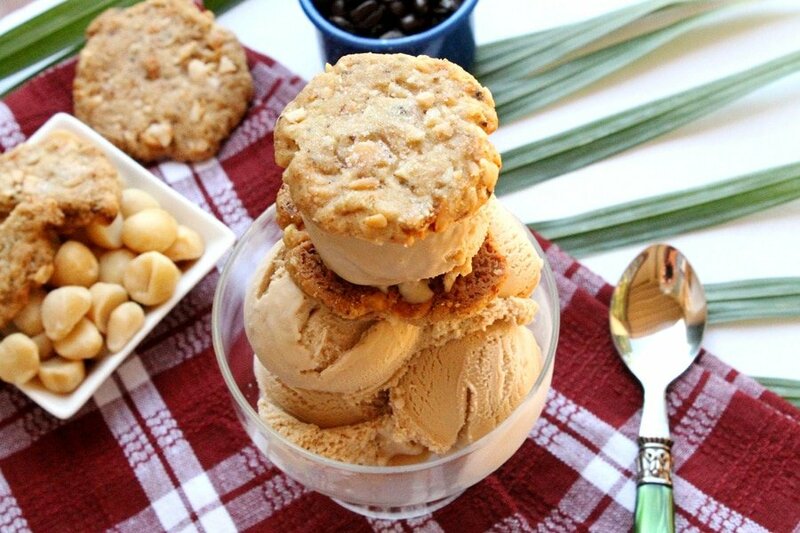 And the toffee bits and coffee flavor are a perfect compliment to the macadamia nuts. 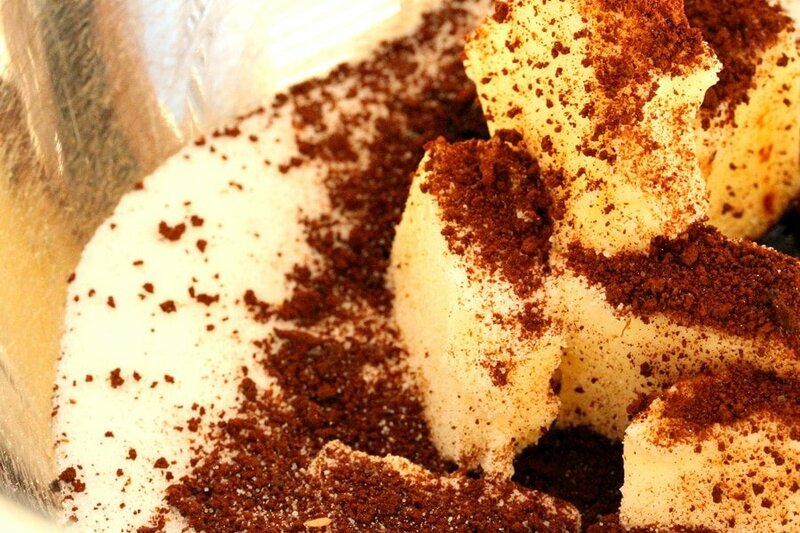 Cream butter with sugar, coffee powder, salt and vanilla. Add the flour to the butter mixture. Stir the flour into the mixture. 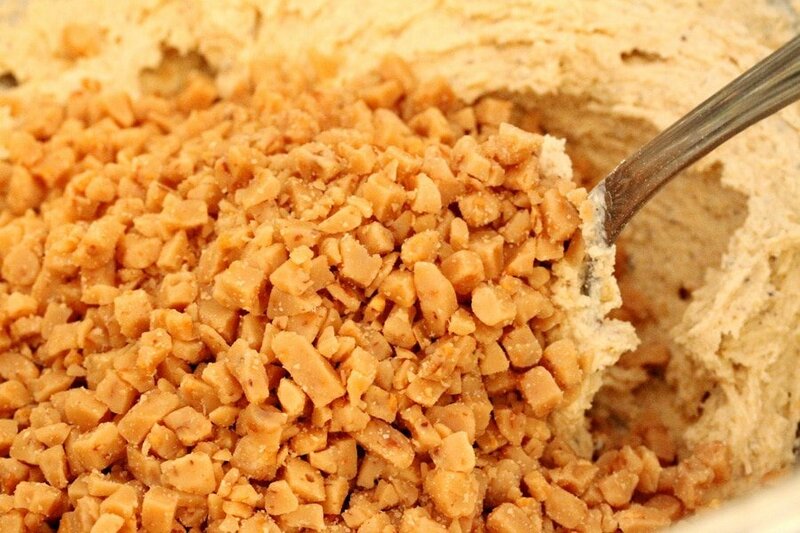 Blend the toffee bits into the dough. Set aside the cookie batter. 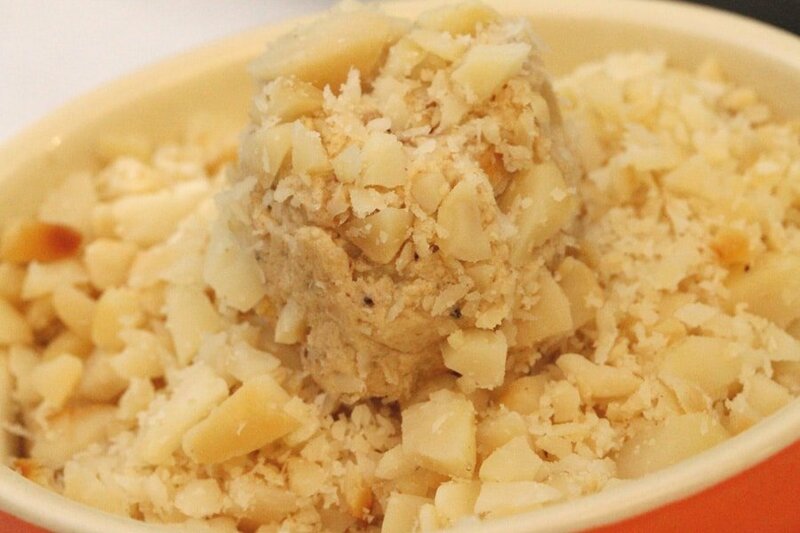 Chop the macadamia nuts and put them into a bowl. 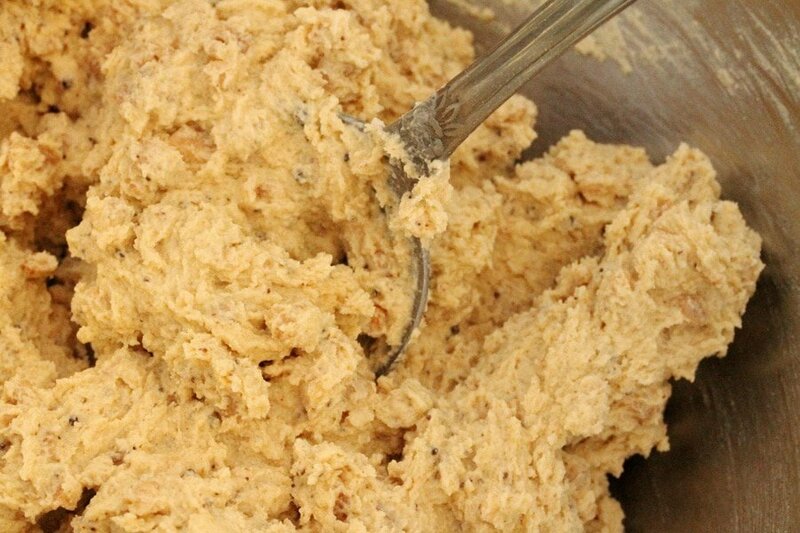 Drop the cookie batter by the teaspoonful into the bowl of chopped macadamia nuts, and roll to coat the dough shaping it into a ball. 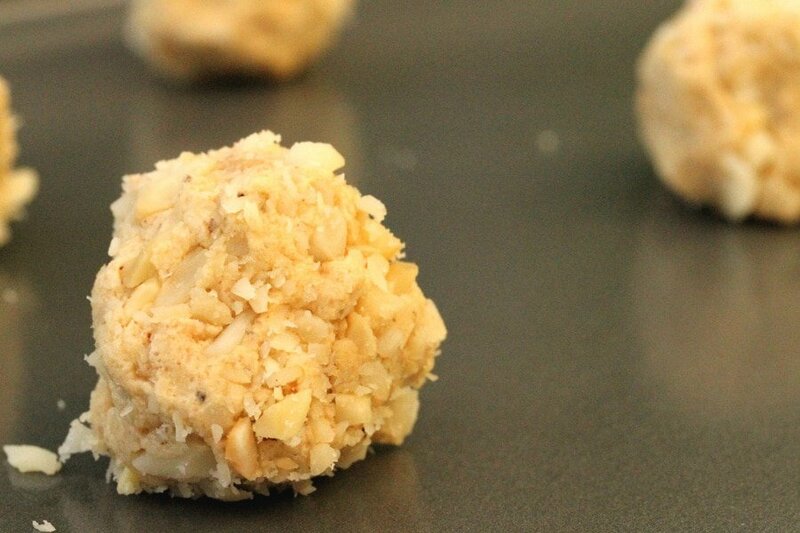 Place the balls of cookie dough on a cookie sheet. 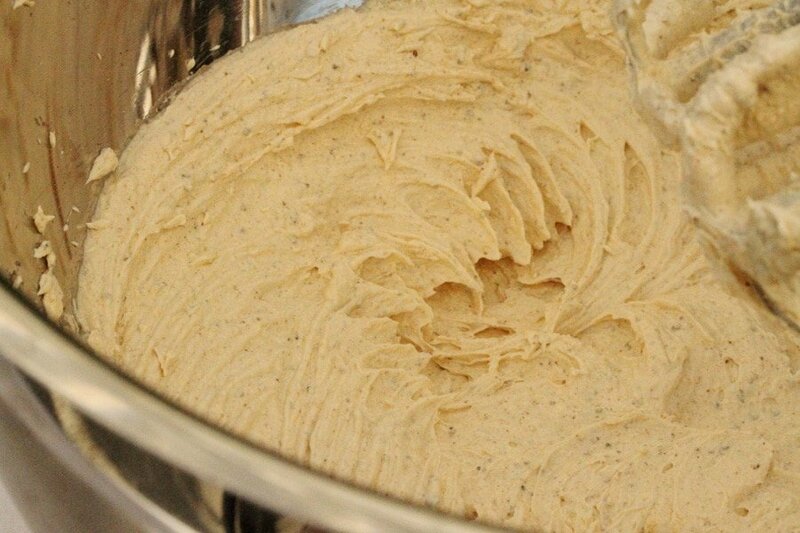 Flatten each ball of dough just a bit with the back of a spoon and add a sprinkle of sugar to the top of the flatten cookie dough. In a preheated oven, bake the cookies slowly for about 20 to 25 minutes, just until the edges are very lightly browned. 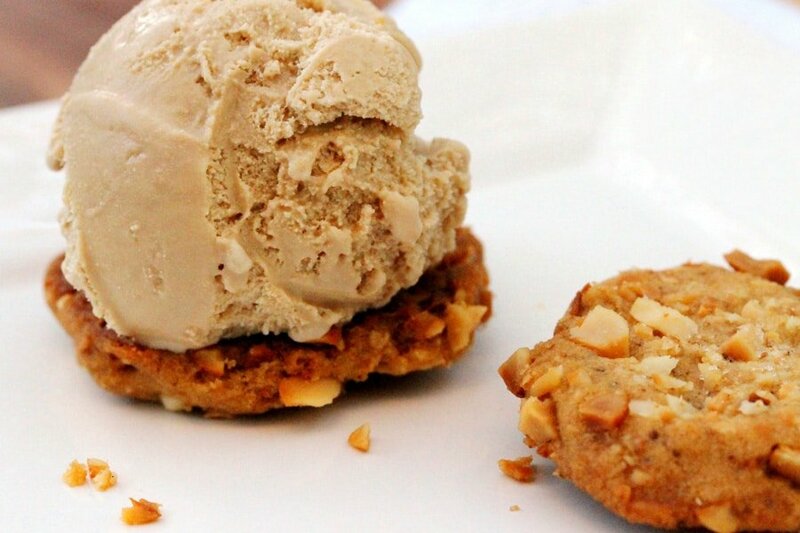 Let them cool and serve cookies separately or with coffee ice cream in between two of the cookies. 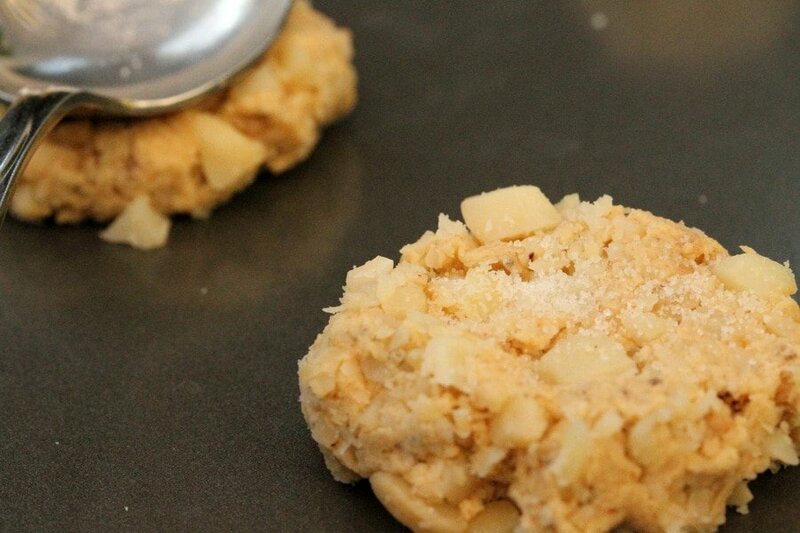 These scrumptious cookies have a texture similar to a shortbread cookie. 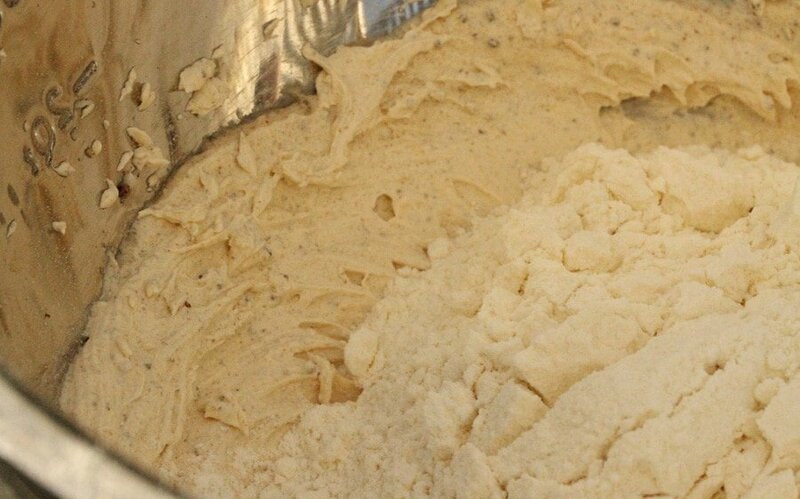 For the Batter - To a large mixing bowl, add butter, sugar, instant coffee granules, salt and vanilla. Beat with a mixer until creamy. To the butter mixture, slowly beat in the flour a little at a time. To the bowl, add toffee bits. 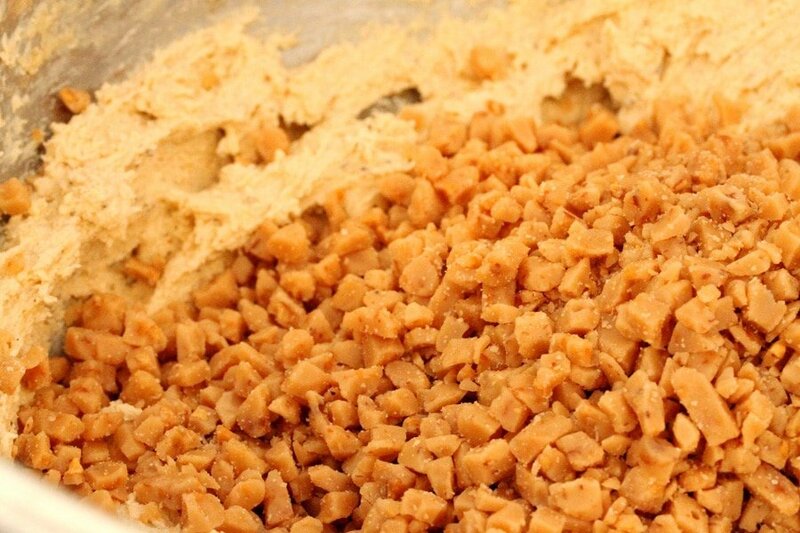 With a sturdy spoon, stir the toffee bits into the dough. Set aside. 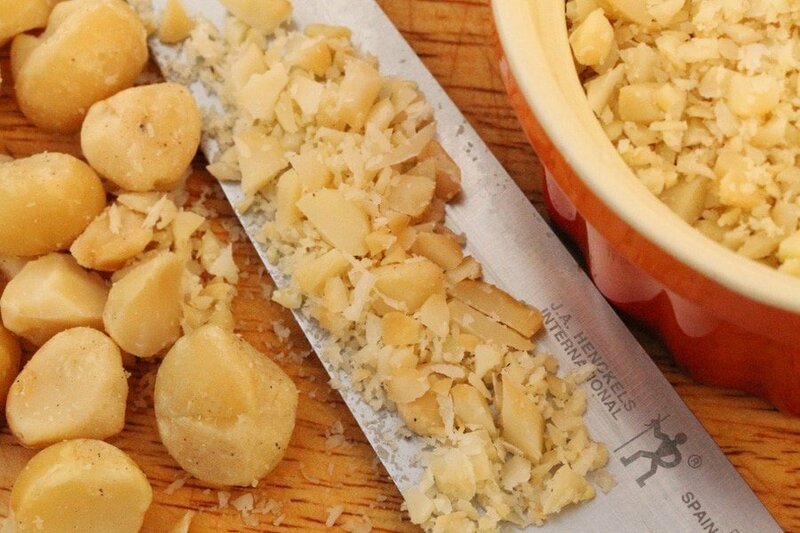 For the Macadamia Nuts - to a small bowl, add the chopped macadamia nuts. 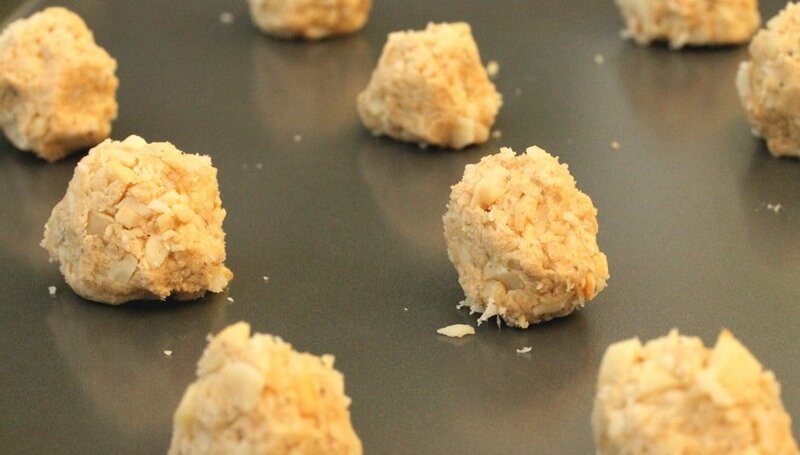 Place the balls of cookie dough onto an ungreased cookie sheet leaving even, empty spaces in between each dough ball. With the back of a fork, flatten each ball of dough just a little add a sprinkle of sugar on the top of the flatten cookie dough. 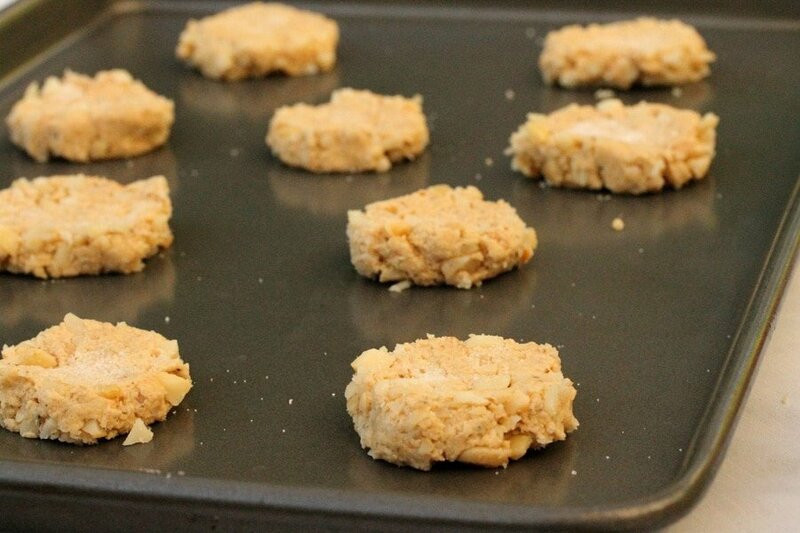 In a preheated oven, bake the cookies slowly just until the edges are very lightly browned (about 20 to 25 minutes). Remove the cookies from the oven and transfer them onto a cooling rack. Let cool. 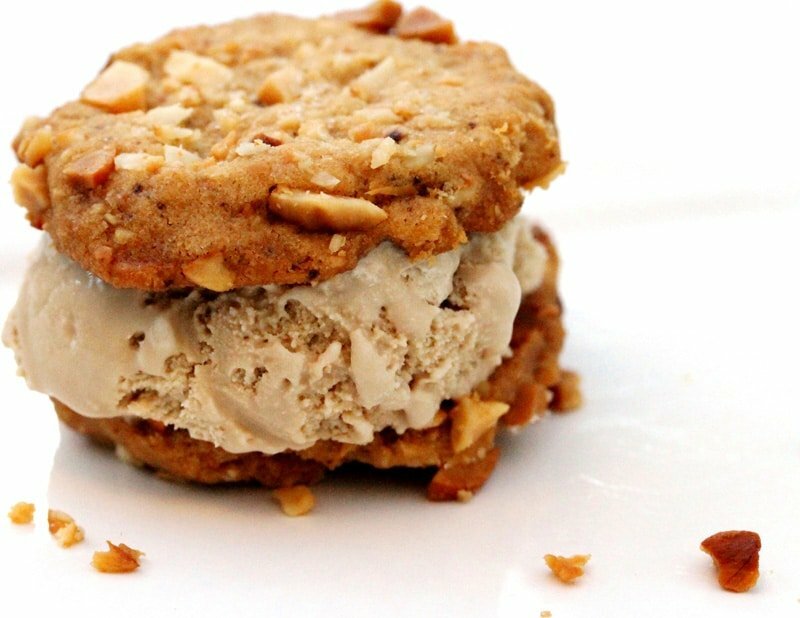 Serve by themselves or as an ice cream sandwich with coffee ice cream in between two cookies. 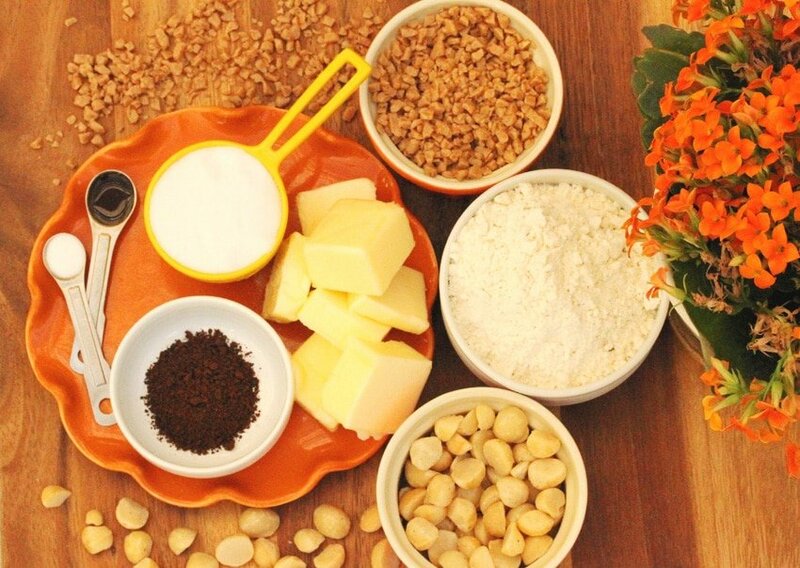 Loved this recipe, and will add it to my “Best macadamia Nut Recipes” blog over at Squidoo! 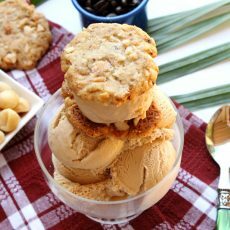 I Used fresh Hawaii macadamia nuts for this recipe. I get mine from http://www.maunakeagold.com. In my opinion, Hawaii produces the best Mac Nuts! Hi Aaron, thank you for adding this recipe at Squidoo. 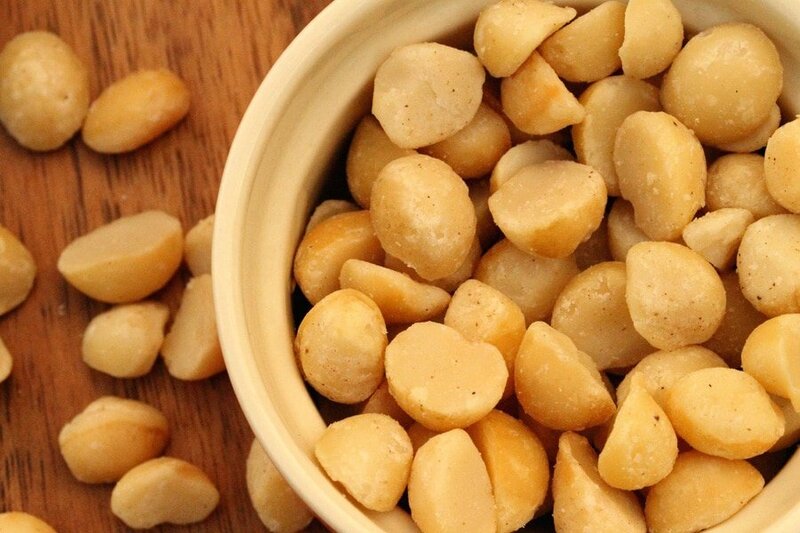 Mac nuts from Hawaii are soooo delicious. Have a nice weekend! oh my these look godly. i want them now. Glad to find your blog – this is my sort of food. Will definitely be back to visit again. These cookies are the business, and your photos are wonderful! Thank you for your visit Hester!